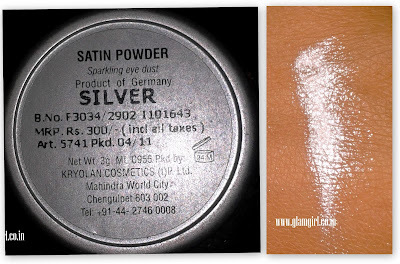 Using a eye shadow dust sounds interesting but at the same time I find it is tricky. I generally mess up with loose powders. Personally I never had an urge to buy Kryolan products, but my sister – in – law highly recommended Kryolan to me. Kryolan is a German brand which is used by professionals at the back stage. Its packaging not very glamorous but user friendly, which is very important for a backstage artist to speed up. I have Silver eye dust. According to me, your vanity case is not complete without a Silver eye hue. Though it is a dust but its amazing blending properties, and intense color can fascinate anyone. 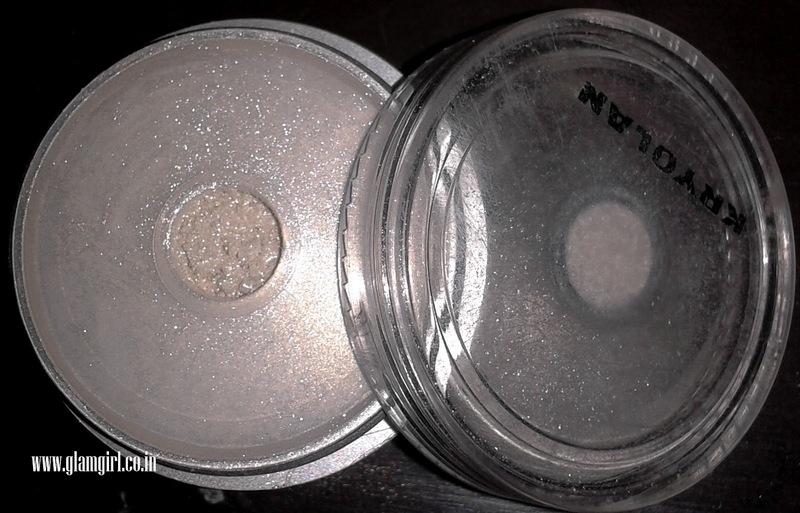 Always wear it on eye shadow primer. I am glad that I purchased it. This quantity is enough to last for long time.